Mitju, a fashion savvy footwear brand in Singapore, launches it's latest collection of Japanese inspired footwear named “Tick Tack Shoe”, showcasing a collection of exciting and interactive footwear that will reinforce Mitju as a brand that is fun and creative, catering to chic, trendsetting women with individual style and personality. The new range of ladies footwear is centered around 3 basic shoe fabrics & shoe shapes with an array of over 60 colourful shoe accessories that enables anyone from young to old - to assemble and customize one’s desired masterpiece footwear that best fits her individual personality & style. Each shoe is made up of two pieces — the basic shoe that comes in 3 types of fabric, namely Patent, Leatherette and Synthetic suede on the upper and an array of detachable shoe accessories that allows one to “tack” on firmly & easily. That explains the name, "Tick Tack Shoe". To be honest when I was having doubts if I should head down to check it out or not when I first received the invitation. 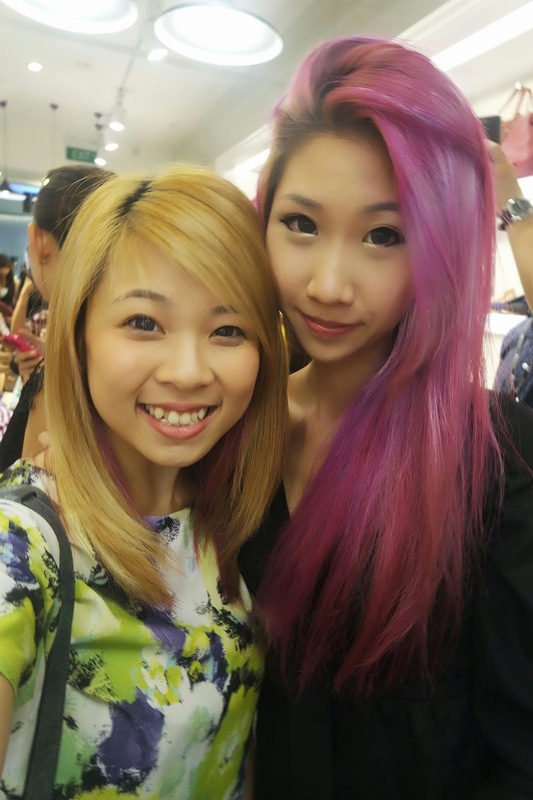 I've never been a fan of Mitju but I was in for a surprise that day! I was truly amazed when I stepped in and saw the new range of shoes they had. There were so many different textures and colours to choose from, I was spoilt for choice. I spent about 2 hours walking around the store again and again before making my decision. 2. Tack! on your pretty accessories. Choose from 60 over accessories. & walk out with your personalized shoes. Check out my spasm hand, hahaha. Can you guess which shoes & accessories I picked? 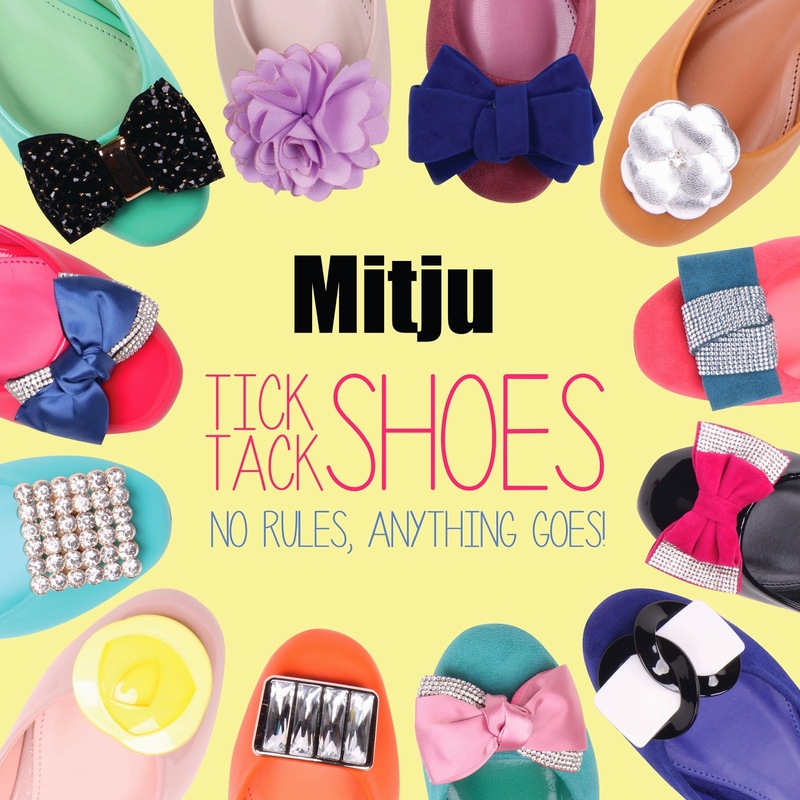 The Mitju Tick Tack Shoes are priced affordably at $26.90. While accessories range from $6.90 - $14.90. in Singapore from 25th July 2014.